Following its launch back in July, AD Driver – the golf website advertising network – providing brands exclusive access to over 200k golfers in a single month have launched a series of new packages for 2017. The packages using either national or local drive-time catchments, reportedly provide the industry with ZERO wastage when trying to reach an upmarket golf audience. Print magazine circulations and readerships continuing to fall and with over 50% of media consumption now via the web, online channels are THE growth market in golf advertising. Starting from as little as £400 for a four week campaign, AD Driver gives advertisers the opportunity to plan online marketing campaign by postcode and IP address. In addition, AD Driver are now GUARNTEEING the industry average click through rate of 0.15% for all Club marketing campaigns – demonstrating their confidence in online marketing. The network is the backed by seven well established golf publishers including Fyne Associates (Publishers of Golf South Magazine, Golf North Magazine) Yourcaddy Magazine, Golf Deals Group, Golf Assessor Online, TheSocialGolfer.com and IndepdentGolfReviews.com, the new Ad network will be able to deliver over 5.2m Ad impressions per month to the golf industry. The mix of golf publisher websites and their relating social networks feeds, deliver regular and engaged traﬃc at key locations, throughout England, Scotland, Wales and Northern Ireland. AD Driver publishers can also oﬀer strong audiences across the US, Germany and the Nordics. All campaigns booked through AD Driver also include free set of uniquely designed banners, blogs posted across the networks, social media promotions + a free backlink to your website helping your overall search engine rankings with Google. All campaigns are also optimised by ad size, site, format and device type – adding to any campaign’s effectiveness. Bespoke packages available on request…. To take advantage of these offers, contact theteam@addriver.co.uk or visit us at www.addriver.co.uk or CALL Lyndon on 01277 563 148. All golfers love their cars! But, if you could turn up at your local club in anything what would the Golfers Dream Car be? See The Social Golfer Blog here. 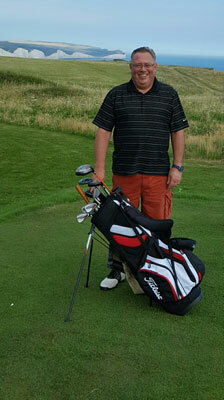 Congratulations to Steve Morgan, we hope you enjoy your new Titleist 14 Way Stand Bag! As we move into Summer we have great pleasure of adding the brand new golf2for1.co.uk website. 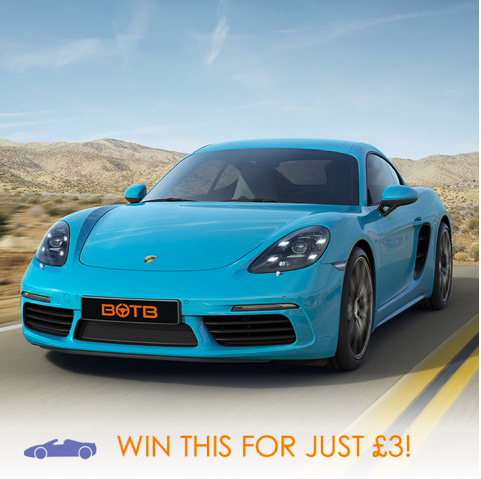 We are bringing you 2 for 1 vouchers at a great price all over the UK. Daily we are adding more courses for you to enjoy. Just click the “2 for 1 vouchers” at the top of the page and take a browse around this new site. Pay for 1 player and 1 goes free. We look forward to looking after your golfing needs and the team at Golf Deals Group wish you all the best for the coming season. Since rebranding to Golf Deals group in mid 2015 we have helped many golfers find great offers at courses across the UK. We have now launched a great new Retail Section(see retail deals at top of page) which brings you the latest equipment at the best prices. Also we now have a golf holidays section that will include breaks in the UK and overseas. Keep watching this space as more exciting things are to come later this year. Happy Golfing and we hope you keep enjoying the offers. The team at Golf Deals Group wish you all the best for the coming year. PowaKaddy Sport Giveaway – Winner is Drawn! Earlier this year Golf Deals Group UK ran a free giveaway for the PowaKaddy Sport, an 18 Hole Unit with battery, charger and two accessories included. You can still see that offer at this link. Many keen golfers entered from around the UK, and the draw has now been held. The winner is Matt Nash of Witney, Oxfordshire. Matt’s PowaKaddy is in the process of being delivered to him at the time of writing this. Congratulations Matt and we hope you enjoy it! Golf Deals Group has finally landed in the UK and about time too, as quoted by a new member. Previously, avid golfers had to be signed up with sites like Groupon, Travel Zoo or Living Social to name a few, and receive promotions about hair, make up and tanning on a daily basis which quite frankly is rather frustrating just to find the occasional golf promotion. We specialise in the golf industry, bringing the UK golfer great promotions from golf clubs, resorts, PGA coaches, golf physio, golf fitness and much more. Good Luck & Happy Golfing!